Heart rate tracking is becoming an increasingly crucial ingredient for fitness tech. It's hardly surprising, given that how fast your heart beats when you're doing nothing at all reveals a lot about your overall health and fitness. Unsurprisingly, a lower resting heart rate (RHR) is linked to some very big health benefits, including a reduced risk of heart disease. 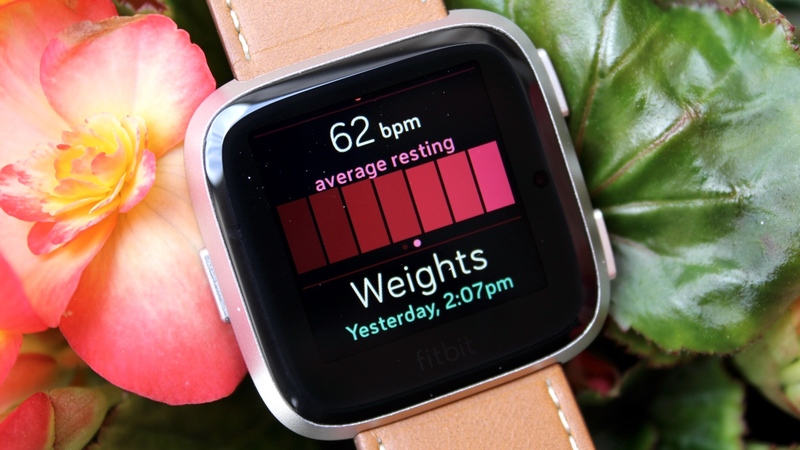 The good news is that, with the flood of heart rate monitoring wearables hitting the shops, it's now easier than ever to monitor - and improve - your own resting beats per minute (bpm). And while we can't promise to give you the ticker of an Olympic athlete, here are some tips on how you can use the latest tech to hit a better beat. First up, let's clear up exactly what we mean by resting heart rate. Basically, RHR refers to how fast your heart beats per minute when you're at complete rest, and by that we mean when you've been lying down and haven't moved for ten minutes or so. Generally speaking, the lower the number, the fitter you are. The average adult will have a resting heart rate between 60-100 beats per minute, while athletes are likely to have a much lower bpm, somewhere between 40-60. Spanish cyclist, and five times Tour de France winner, Miguel Indurain, famously had a resting heart of just 28bpm. As with anything relating to our bodies, there are lots of factors that influence your RHR. Genetics can play a part, but lifestyle tends to have the biggest bearing, with the familiar friends and foes of stress, diet and exercise levels all impacting on how hard your heart works at rest. It's a story that we all know well. If you don't smoke, don't overdo the alcohol, eat a healthy diet and do regular exercise, the likelihood is you'll have a more positive RHR. People who are overweight tend to have higher heart rates too. When you're carrying a bit more lumber, your heart has to work at a faster pace to supply blood and nutrients to your entire body. So staying lean is also important. On top of being a simple barometer for heart health and general wellbeing, knowing your resting heart rate has other great advantages, too. Most new fitness wearables and sports watches use RHR stats in tandem with your maximum heart rate in order to dictate your heart rate based training zones. Some devices do this automatically, but most require you to input your RHR and knowing this vital stat will add accuracy to other stats, like your calorie burn. Regularly checking your resting heart rate and comparing it to a benchmark bpm can also reveal stresses on the body, particularly in those training regularly. Professional sport coaches monitor their athletes' RHR stats daily and use this data to help them make judgement calls as to whether their stars should train that day. A significantly raised bpm (more than 7 above the normal average) can be a sign of overtraining or, even an incoming cold or illness. You can get your RHR without any technology whatsoever. Some kind of clock, your fingers and an ability to count to 100 will suffice. But if you own a heart rate monitoring wearable like the Apple Watch, the Garmin Forerunner 235 or the Polar M600, then it's probably easier to let that do all that tricky number stuff. Not to mention many of the latest devices will also keep a record and adjust your heart rate training zones to be more accurate next time you workout. You need to be fully relaxed to get a truly accurate resting heart rate. Just sitting down isn't really enough. A good time to do it is when you first wake up, provided you exit the land of nod naturally and rather than being scared awake by a noisy alarm. Once you're awake, continue lying down and rest peacefully for five minutes. Once five minutes have passed, check your heart rate. Alternatively, you can induce the same fully relaxed state at any time during the day by lying down completely still on your back for 10-15 minutes, without distraction. Once you've reached a state of complete and total inner peace and calm, then clock your heart rate and there you have it, your resting heart rate. It's worth pointing out that it's perfectly normal to see fluctuations of 3-4bpm, and the more regularly you can test the more useful your average will be. Plus, you'll be able to chart your progress, and remember it's important to measure yourself against yourself rather than other people. Even if you're hitting 100bpm, there's good news. The same tech you use to clock your RHR can help you lower it, too. How? Well, when you exercise, your heart has to work harder. And during workouts, you're essentially strengthening that pump, so that when you return to rest it doesn't have to work quite as hard to deliver the same amount of blood around the body. Put another way, over time, regular exercise gradually slows down your resting heart rate by stimulating the parasympathetic nervous system and lowering your bpm. Of course, there's really no such thing as bad exercise, but there are particular forms of exercise that can have a positive impact on your heart rate - providing, that is, you're also aligning yourself with a balanced diet. Interval training, resistance training and regular aerobic exercise like running or cycling are all particularly effective, and plenty of good tracking tech (like with the wearables listed below) can help you hit any training goals you may have. The Apple Watch Series 3 has seriously upped its heart rate game with a gamut of new smarts, including resting heart rate. We've actually published a full guide to the Apple Watch heart rate smarts, but heading to the heart rate section on your app screen, and swiping up will show readings taken over the last 24 hours. If you want to see more detail, the Apple Health app on your iPhone will show resting data over months and years. Powerful stuff. With heart rate tech built into Fitbit's flagship activity tracker, you can get a live read-out of your pulse. It will keep tabs on your pulse at rest and display the result within the app, plotting its course over a period of the last 30 days. It's also included in the Fitbit Alta HR, offering the tech inside a slimmer more stylish body, as well as the company's two smartwatches, the Ionic and Versa. Successor to the Garmin Vivosmart 3, the Vivosport uses the same optical heart rate monitor as Garmin's high-end GPS sports watches, like the Forerunner 935 and the Fenix 5. It tracks resting heart rate continuously throughout the day and night and also uses that heart rate data to provide heart rate variability measurements to produce stress scores. The Nokia Steel HR will keep tabs on your resting heart rate while you sleep. While your deep sleep heart rate isn't a totally fair reflection, the points when you wake up are the best time to track RHR, making the Nokia Steel HR a decent bet. If you're looking at picking this one up, though, just be aware that Nokia is currently in talks to sell its health business to, oddly, the co-founder of Withings, the company it initially bought from. This leaves the future of its wearables slightly up in the air. Fitness tracker of the year 2017 at the Wareable Tech Awards, thanks in part to its resting heart rate skills. Like the Charge HR, your RHR is tracked within the Fitbit app, so you can neatly see small peaks when your body might be a little more stressed than usual. But the Alta HR's diminutive size make it a much different proposition, and much more suited to those less serious about sport. Something slightly different here, just in case wearing something on your wrist all day and night isn't for you. With the Nokia Sleep, the sensor goes underneath your mattress and can provide detailed insights into different sleep stages throughout the night. Interestingly, it's also able to track RHR as part of this, making it a powerful way to keep tabs on your ticker. In our testing, it even managed to line up with the Fitbit Versa and Garmin Forerunner 935, so there should be no real concerns with regard to accuracy here. However, as we mentioned above with the Steel HR, keep in mind the uncertain future of Nokia's wearables business before investing your cash.